WASHINGTON — A Jessup, Maryland, man has been arrested in the death of a real estate agent in a model home in Hanover on Wednesday. 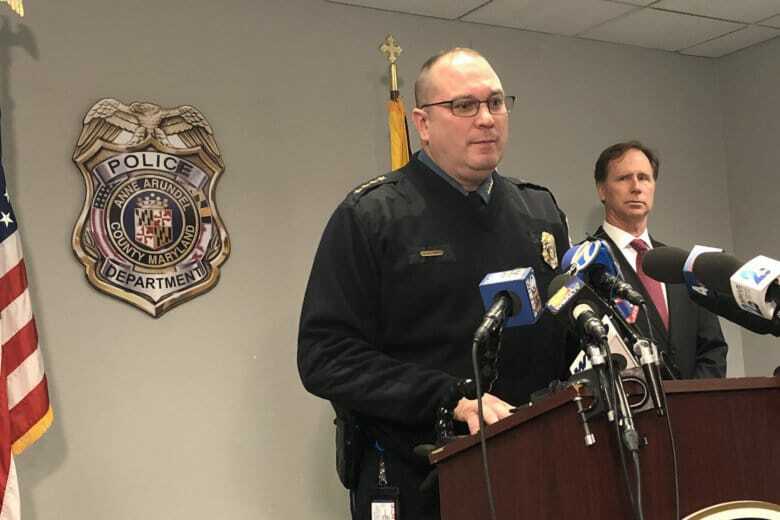 The Anne Arundel County police announced on Friday the arrest of Dillon Augustyniak, 18, of Jessup, in the shooting death of Steven Wilson, 33, of Annapolis, in the model home and sales center of a development on Newmanstown Drive. He was arrested in Baltimore at about 1 a.m. Friday and has been charged with first-degree murder, armed robbery, theft and the use of a firearm in a violent crime, Sgt. Jacklyn Davis said Friday. Police Chief Timothy Altomare said the motive in the case was robbery, and that the two did not know each other. Several items of Wilson’s property were found when police arrested Augustyniak, he said. Altomare said detectives knew they had “five minutes to celebrate” the arrest in the case. He read off the names of the six other victims in open Anne Arundel County homicide investigations from this year — Lawrence Aaron II, Jose Funes, Dantae Simmons, Jasmine Adams, Prateek Kumar and Quenton Boykin — and announced $10,000 rewards for information in each case. Wilson’s family said in a statement Friday that they were “incredibly grateful for the efforts of investigators” and expressed thanks for “friends and total strangers.” They said Wilson had two young children and that a GoFundMe account has been set up to provide for their education.